Lucie Gadenne is an Assistant Professor in the Economics Department at the University of Warwick. 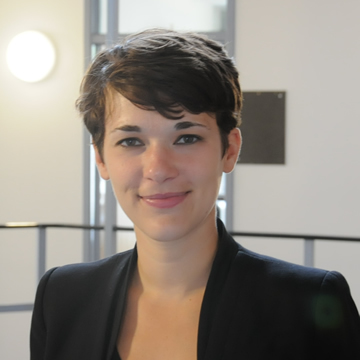 Lucie is also a Research Fellow at the Institute for Fiscal Studies, is affiliated with the CEPR, the International Growth Center and the Centre for Competitive Advantage in the Global Economy (CAGE) at University of Warwick. Prior to joining Warwick Lucie was a postdoc at University College London. PhD, Paris School of Economics, 2013. MSc, Paris School of Economics, 2008. BSc, London School of Economics, 2006. For more, please see my webpage. Tax Revenues, Development, and the Fiscal Cost of Trade Liberalization, 1792-2006, (with Julia Cage), Explorations in Economic History, Vol. 70, 2018. Decentralization in Developing Economies (with Monica Singhal), Annual Review of Economics, Vol. 6, 2014. A Tale of Procyclicality, Aid Flows and Debt : Government Spending in Sub-Saharan Africa (with Victor Lledo and Irene Yackovlev) Journal of African Economies, Vol. 20, 2011.